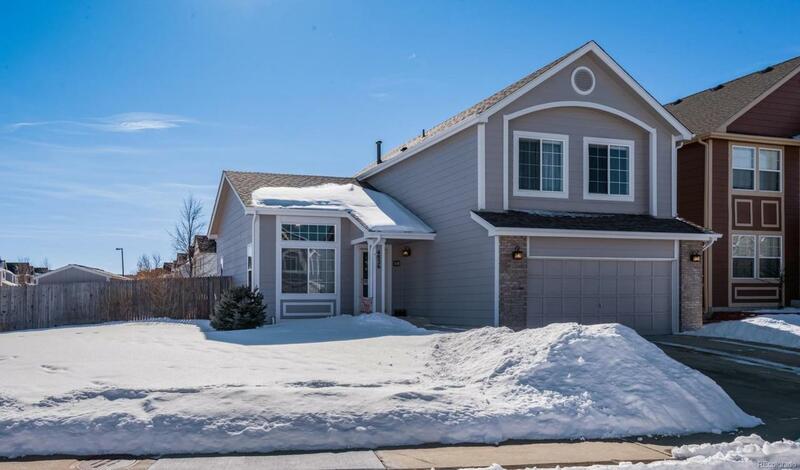 Welcome home to this terrific 4 bedroom 3 bath home in the Founders Village neighborhood! This home sits on a large corner lot on a quiet interior street. Upon entering, the family room with vaulted ceilings & cozy fireplace is great for entertaining. Family rm looks into the separate dining & kitchen areas. The kitchen features lg pantry & plenty of counter space! Out the sliding glass door, the spacious backyard includes a large stamped concrete patio area & separate shed. This spring enjoy the grape, raspberry plants & the variety of bulbs planted. 1/2 bath & washer/dryer area complete main floor. Upstairs, master has an en suite bath w/vanity, tub/shower combo & walk in closet. 2 additional bedrooms upstairs & another full bath. Basement could be 4th bed currently used as family room/rec area. Workshop w/workbench & shelving as well as crawl space area complete the basement. Newer roof '16, exterior paint '16, hot water heater '15 & several windows '16. See this home today!